As a musician as well as a fan, I look for things in the music that some fans out there might not. I look for a band that can combine different styles of metal as well as create something that is very original. One of the best out there at both of these is the Finnish metallists Amendfoil. To say that this band has a varying array of influences is to put it mildly. 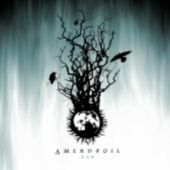 Amendfoil creates something that is seriously unique and yet still pays homage to every band that has flown the banner of metal before them. They are as musical as they are strikingly heavy in every way... this is a band fuelled by a need to create and deliver some of the most massive and commanding metal ever delt - a testament to the genre. With three songs, this single only wets ones appetite for more from this impressive band...and that is a tell tale sign of a good band. Each track on the CD has a life in itself, yet there is this thread of something that ties it all together. In a word, this is a single with some major balls to it... and it crushes so many full length releases that have came out in the last few months from so called metal bands. Amendfoil show that they have talent and power that many just cannot compete with. They are simply the most amazing and expressive band out there today, while still being monstrously heavy at the same time. I had reviewed one of the albums before ( "Act Of Grace" - Rating 8.1) and this album has shown the extent that they have matured and grown from that release. Amendfoil did not surprise me that they did grow so much as they have, I find myself very eager to see how much more they can bring to their music, and if my hunch is correct, Amendfoil will blow my mind once again. Good album from a band hitting their stride in a big way.